While waste water can flow easily down a drain pipe, the thicker residue that goes with it cant. Because they either pose a threat of clogging sewer lines or leaving harmful contaminants in them, these unpleasant byproducts have to be captured by sand-oil traps and similar devices. The trouble is that since theyre not particularly fluid, these same contaminants can quickly clog the traps themselves. On top of that, theres really no place they can safely go to. This is where a waste removal service comes in. 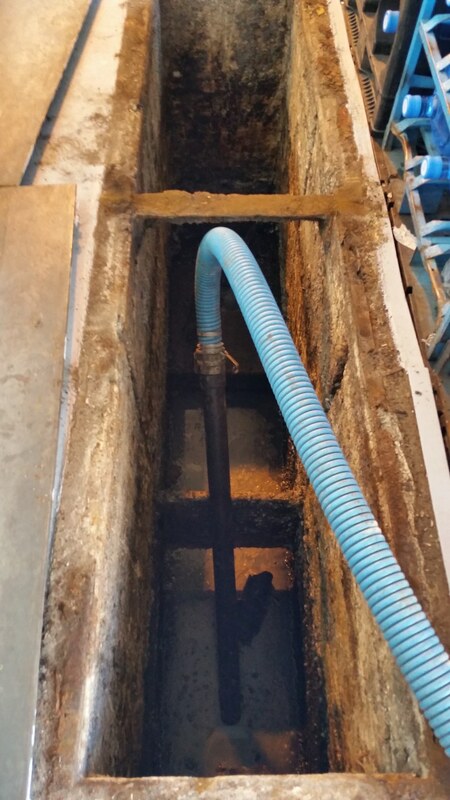 Whether theyre called grease traps, sand and oil separators, clarifiers, or something else, most waste traps function in the same basic way and have the same basic vulnerabilities. Waste water usually flows into the trap at mid-level, allowing heavier materials to sink to the bottom. Meanwhile, oil and grease float to the top as the relatively clean water in-between flows out the other end. As can be imagined, operations like car washes and the like quickly generate large amounts of this kind of debris. If allowed to accumulate, sand, mud, and other solids will rapidly fill the settling tank until the inlet and outlet ports clog and the water backs up. Also, oil floating on top can likewise collect and force their way down until plugging the ports. Removing these wastes requires both specialized equipment and the legal permits to properly dispose of the materials in a designated landfill. Water backing up from a poorly maintained trap is an obvious problem. A less obvious hazard from infrequent trap cleaning is the build-up of gases. Harmful chemicals like aromatic hydrocarbons or benzene are often contained in the oily residue washed off of vehicles. Many traps are designed to let airborne waste safely vent, but when oils amass at the top, they can block the vents. Some gases can be flammable. Other gases can possibly be driven back through the water line with enough pressure. In some cases, certain gases like hydrogen sulfide will form sulfuric acid that can corrode the trap itself, requiring expensive replacement. Clearly, keeping traps regularly cleaned is a big money saver. American Pumping has the tools to do the job thoroughly. Not only is the waste material pumped out, any remaining materials that remain stuck are scraped away so as to not find their way into the drain pipe later on. Then theyll check the inlet and outlet lines, too. As a licensed disposal company, they can take the wastes to the proper treatment sites for safe elimination, saving the client the hassle of additional paperwork.